Biltmore Lake is an outdoor lover's retreat for active lifestyle living in picturesque Asheville, North Carolina. The Asheville area is well known for its mountain beauty and artistic vibe. At Biltmore Lake, residents of all ages enjoy water-based activities at the 62-acre lake, as well as spectacular views of the Blue Ridge Mountains. Additional outdoor recreation opportunities include tennis courts, a basketball court and four miles of walking and biking trails. Active adults aged 55 or better appreciate the small-town charm and natural beauty at Claremont. This 556-home community offers a prime location in scenic Portland. In addition to its 12,000 square-foot clubhouse, Claremont's grounds include two golf courses, a swimming pool, two tennis courts, lawn bowling and a croquet lawn. Majestic views of Mount Rainier welcome active adults to Jubilee at Hawks Prairie. 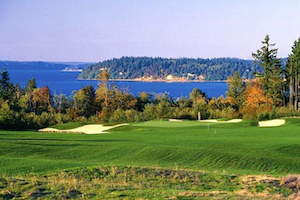 The community is within two miles of the Puget Sound and within easy access of preserved forests. Its on-site amenities include golf courses, nature trails and sports courts for tennis, bocce ball, basketball and pickleball. Easy access to outdoor activities makes Jubilee at Hawks Prairie an ideal Washington retreat for retirement. Set on the south slope of the Peavine Mountains, Sierra Canyon has plans for 1,250 single-family homes. Its spacious Aspen Lodge clubhouse provides an exciting line-up of resort-style amenities and outdoor activities. Residents can also enjoy spectacular mountain views while socializing on the large clubhouse patio. Spread across 5,300 areas of gorgeous Texas Hill Country, Sun City Texas is an ideal destination for outdoor enthusiasts. In addition to over 86,000 square feet of indoor amenities, the community's Legacy Hills Pavilion is an open-air facility which overlooks Berry Creek Lake. This recreation area features nine miles of trails, sports courts, gardening plots, a dog park and nature preserves. In Northern California, Rossmoor offers active adults over 6,600 homes nestled amid rolling hillsides and mature landscaping. Beyond its natural beauty and appealing homes, Rossmoor features multiple clubhouses and outdoor recreation options including tennis courts, swimming pools, golf courses and picnic areas. With plans for approximately 9,500 homes, Hot Springs Village is an impressive active adult community in the heart of Central Arkansas. Residents enjoy amenities spread across several recreation centers, as well as nine golf courses, eleven lakes, sports courts and about 26 miles of walking and biking trails. Overlooking a 15-acre lake, the clubhouse at Lake Providence provides an exciting line-up of indoor and outdoor recreational opportunities. 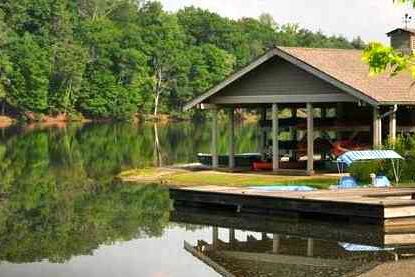 The beautiful lake is stocked for fishing and has a Canoe and Kayak Center for resident boaters. Other outdoor amenities include sports courts, five miles of walking and biking trails, and an amphitheater for performances under the stars. Just 75 miles east of Atlanta, Del Webb at Lake Oconee has the distinction of being one of Del Webb's few communities set on a navigable lake. This rural community features lush grounds with rolling hills and towering trees. Homes are set on large sites with natural landscaping, while recreation options include boating, fishing, tennis, pickleball, softball and more. Active adults who settle at Hilton Head Plantation can enjoy an active lifestyle in one of the state's premiere resort destinations. This Del Webb community features a semi-tropical setting with unspoiled sea marshes, ancient oaks and mature landscaping. Residents can also enjoy an impressive line-up of outdoor activities, including golf, fishing, swimming, tennis, pickleball, gardening and croquet. Wherever you choose to settle, scenic active adult communities across the country offer recreational opportunities that are sure to appeal to outdoor enthusiasts.